Because Kate has a wonderful understanding of climatic conditions very similar to Coffs Harbour her experience is well worth tapping into for some excellent ideas for our own gardens. 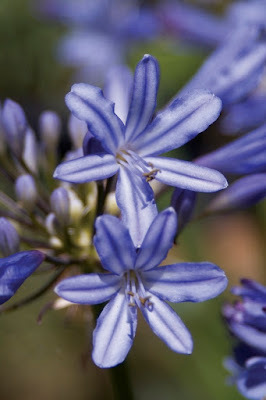 In this GardenDrum article she discusses the use of blue flowers, the importance of shade, position etc AND gives quite a long list of blue flowering plants. Kate suggests that by using blue shaded plants it has a cooling effect (along with green of course) and also the importance of which colour blue to use (and) where - shade or full sun.